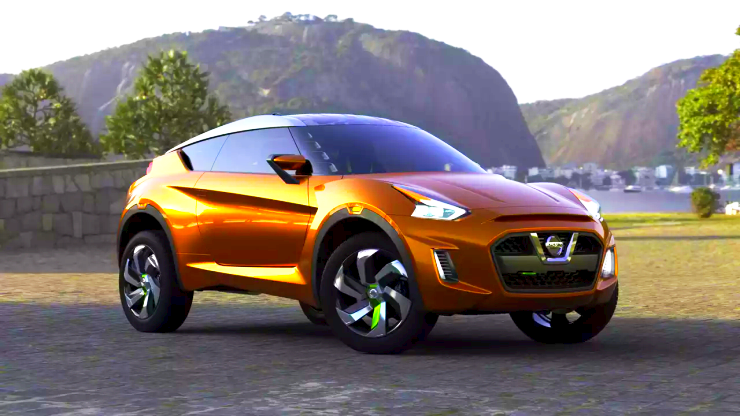 Japanese automaker Nissan is putting together a compact SUV for the Brazilian car market. This SUV is based on the V-Platform, which also underpins cars such as the Nissan Micra hatchback and the Sunny sedan. Apart from Brazil, other emerging markets such as India and Russia are also likely to play host to the new Nissan compact SUV, which will challenge the Ford EcoSport and that is likely to sit under the Terrano. 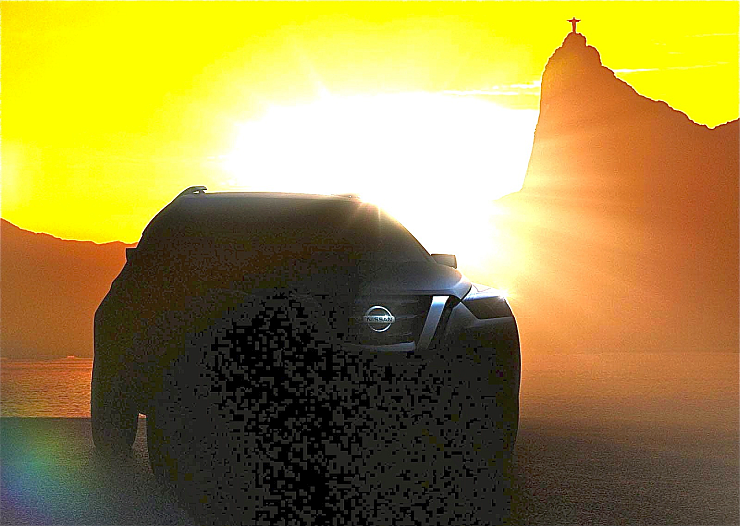 The concept version of the Nissan Extrem-II compact SUV will make its debut at the 2014 Sau Paulo Motor Show, due to kick off later this month. Notably, Nissan showed the first iteration of the Extrem SUV concept at the Sau Paulo Motor Show in 2012. The second iteration of the Extrem, in this case the Extrem II, will be closer to production reality. Expect the radical lines of the Extrem-I to make way for a more retrained, production oriented design approach on the Extrem-II. The Extrem-II compact SUV concept’s production version is expected to hit the Brazilian market in early 2016, paving way for an Indian launch with roughly the same timeline. 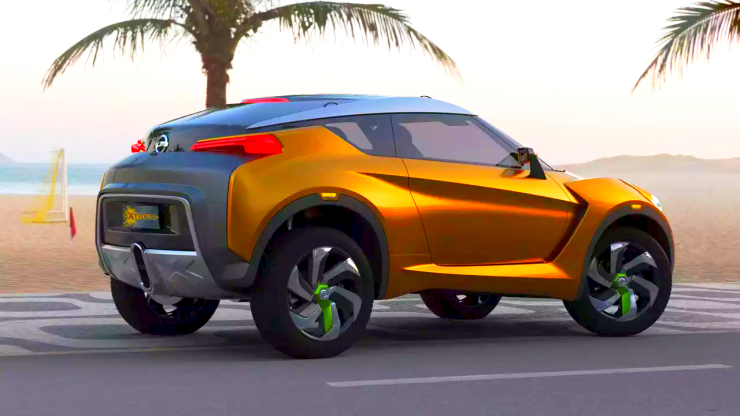 Notably, Nissan’s head of India, Africa and the Middle East, Mr. Takashi Hata, has noted that the Japanese automaker is working on a compact SUV for the Indian car market, with a launch timeline slated for 2015-16. In that light, the Xtrem-II concept’s production version seems a likely choice for the Indian market. Given the Xtrem-II concept’s V-Platform leanings, the likes of the 1.5 liter HR15DE petrol and K9K turbo diesel engines are likely to be straight fits into this concept SUV. These engine have done millions of trouble-free kilometers on Indian roads. Coupled with a high amount of localization, the Xtrem-II compact SUV concept could well be the rainmaker for Nissan in India, a Japanese brand that is yet to taste big success here. Nissan has big ambitions for the Indian car market, riding on both the Datsun and Nissan brands. By 2016, the Japanese automaker seeks to multiply market share by over 5 times from the current levels of about 1.93 %. The ambitious 10 % market share by 2016, will be spearheaded by cut price offerings from Datsun, which has the Go+ 7 seat MPV and the RediGo sub-3 lakh rupee budget hatchback lined up for 2015 launches. The Xtrem-II compact SUV fits right into the picture too.